Wireless instrumentation is creating a lot of enthusiasm within industry today, full of opportunities and possibilities for new and exciting process measurement. The flexibility of wireless solutions enables less investment in infrastructure while greater process insights wireless into the plant operations, where the measurements were previously too difficult or uneconomical to implement. The ISA100.11a robust security mechanism provides continuously ensured safety in various system operations. Yokogawa Electric Corporation announces that it has developed the world’s first field wireless devices based on the ISA100.11a industrial wireless communications standard, and will release them to the market in July. 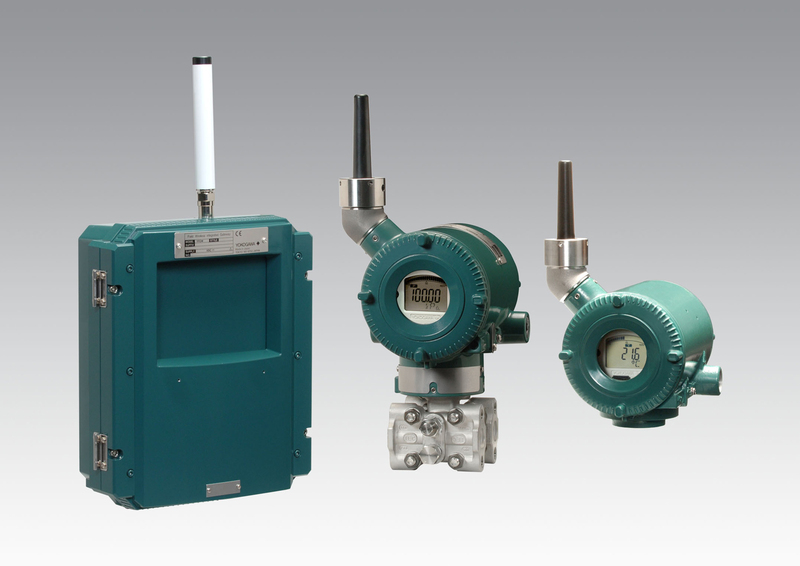 These wireless products include an EJX-B series differential pressure and pressure transmitter, a YTA series temperature transmitter, and an integrated field wireless gateway which connects field wireless devices with a host system and provides a number of field wireless network setting and management functions in field sensor networks. These field wireless devices are expected to satisfy a wide variety of requirements in the industrial automation field. To help companies achieve ever higher levels of productivity, Yokogawa will continue to develop various kinds of field wireless devices for both monitoring and control applications, and is also proposing the development of new field digital networks that integrate wireless and wired technologies. Despite such benefits, wireless networks have seen limited use to date in industrial automation applications due to their requirement for advanced technologies that ensure high reliability, real-time response, environmental resistance, and explosion-proof protection, and because of the absence until recently of an industrial communications standard for field wireless devices. Following approval by ISA and ANSI, this standard will be published and submitted for the review of the IECSC65C Subcommittee of the International Electrotechnical Commission (IEC). These new field wireless devices based on the ISA 100.11a standard fully complement Yokogawa’s measurement, control, and information solutions and are expected to make a significant contribution to the realisation of the company’s VigilantPlant concept of the ideal plant. This new technology will help Yokogawa’s customers “See clearly, know in advance, and act with agility”. Yokogawa will continue to seek out solutions that secure its customers an optimum return on their investment throughout the plant lifecycle. With bidirectional digital wireless networks based on the ISA100.11a standard, the production, device diagnostic, and parameter data transferred between a control system and field devices are securely encrypted. This wireless technology is ideal for status monitoring, device diagnostics, and control applications. These wireless devices are designed to run on explosion-proof batteries that can easily be replaced in hazardous locations. Yokogawa also plans to develop easy-to-maintain solar batteries for use with these devices. As a partner with its customers, Yokogawa is always looking to develop new technology solutions while working to ensure full compatibility with customer’s current assets, thus protecting their investment. These products were designed with this requirement in mind. Yokogawa continues to fulfill its commitment to providing unsurpassed leading edge solutions to industry. Reliable, secure, flexible, and intuitive, our new wireless transmitters simplify all aspects of wireless deployment, management, and operation while delivering the excellence that users have come to expect from Yokogawa products. Yokogawa plans to provide a trial kit that will allow customers to experience the advantages of Yokogawa wireless products. Details will be announced later. Temperature, flow, and differential pressure/pressure measurement in plant processes.